What’s going on? The Central Dogma sounds like the backbone of an entire discipline. If it’s really a “dogma” how come it gets refuted on a regular basis? If it’s really so “central” to the field of molecular biology then why hasn’t the field collapsed? In order to answer these questions we need to understand what the Central Dogma actually means. It was first proposed by Francis Crick in a talk given in 1957 and published in1958 (Crick, 1958). In the original paper he described all possible directions of information flow between DNA, RNA, and protein. Crick concluded that once information was transferred from nucleic acid (DNA or RNA) to protein it could not flow back to nucleic acids. In other words, the final step in the flow of information from nucleic acids to proteins is irreversible. Fig. 1. Information flow and the sequence hypothesis. These diagrams of potential information flow were used by Crick (1958) to illustrate all possible transfers of information (left) and those that are permitted (right). The sequence hypothesis refers to the idea that information encoded in the sequence of nucleotides specifies the sequence of amino acids in the protein. The central dogma of biology holds that genetic information normally flows from DNA to RNA to protein. As a consequence it has been generally assumed that genes generally code for proteins, and that proteins fulfil not only most structural and catalytic but also most regulatory functions, in all cells, from microbes to mammals. However, the latter may not be the case in complex organisms. A number of startling observations about the extent of non-protein coding RNA (ncRNA) transcription in the higher eukaryotes and the range of genetic and epigenetic phenomena that are RNA-directed suggests that the traditional view of genetic regulatory systems in animals and plants may be incorrect. Mattick, J.S. (2003) Challenging the dogma: the hidden layer of non-protein-coding RNAs in complex organisms. BioEssays 25:930-939. The central dogma, DNA makes RNA makes protein, has long been a staple of biology textbooks.... Technologies based on textbook biology will continue to generate opportunities in bioinformatics. However, more exciting prospects may come from new discoveries that extend or even violate the central dogma. Consider developmental biology. The central dogma says nothing about the differences between the cells in a human body, as each one has the same DNA. However, recent findings have begun to shed light on how these differences arise and are maintained, and the biochemical rules that govern these differences are only being worked out now. The emerging understanding of developmental inheritance follows a series of fundamental discoveries that have led to a realization that there is more to life than the central dogma. Henikoff, S. (2002) Beyond the central dogma. Bioinformatics 18:223-225. It will take years, perhaps decades, to construct a detailed theory that explains how DNA, RNA and the epigenetic machinery all fit into an interlocking, self- regulating system. But there is no longer any doubt that a new theory is needed to replace the central dogma that has been the foundation of molecular genetics and biotechnology since the 1950s. The central dogma, as usually stated, is quite simple: DNA makes RNA, RNA makes protein, and proteins do almost all of the work of biology. Gibbs. W.W. (2003) The unseen genome: gems among the junk. Sci. Am. 289:26-33. Unfortunately, there’s second version of the Central Dogma that’s very popular even though it’s historically incorrect. This version is the simplistic DNA → RNA → protein pathway that was published by Jim Watson in the first edition of The Molecular Biology of the Gene (Watson, 1965). Watson’s version differs from Crick’s because Watson describes the two-step (DNA → RNA and RNA → protein) pathway as the Central Dogma. It has long been known that these conflicting versions have caused confusion among students and scientists (Darden and Tabery, 2005; Thieffry, 1998). I argue that as teachers we should teach the correct version, or, at the very least, acknowledge that there are conflicting versions of the Central Dogma of Molecular Biology. The arrow encircling DNA signifies that it is the template for its self-replication; the arrow between DNA and RNA indicates that all cellular RNA molecules are made on DNA templates. Most importantly, both these latter arrows are unidirectional, that is, RNA sequences are never copied on protein templates; likewise, RNA never acts as a template for DNA. Fig. 2. Watson’s version of the Central Dogma. This figure is taken from the first edition of The Molecular Biology of the Gene (p. 298). Watson’s version of the Central Dogma is the one scientists most often refer to when they claim that the Central Dogma is dead. The reason it refuses to die is because it is not the correct Central Dogma. The correct version has not been refuted. It is not the same, as is commonly assumed, as the sequence hypothesis, which was clearly distinguished from it in the same article (Crick, 1958). In particular, the sequence hypothesis was a positive statement, saying that the (overall) transfer nucleic acid → protein did exist, whereas the central dogma was a negative statement saying that transfers from protein did not exist. The Sequence Hypothesis. This has already been referred to a number of times. In its simplest form it assumes that the specificity of a piece of nucleic acid is expressed solely by the sequence of its bases, and that this sequence is a (simple) code for the amino acid sequence of a particular protein. This hypothesis appears to be rather widely held. Its virtue is that it unites several remarkable pairs of generalizations: the central biochemical importance of proteins and the dominating role of genes, and in particular of their nucleic acid; the linearity of protein molecules (considered covalently) and the genetic linearity within the functional gene, as shown by the work of Benzer and Pontecorvo; the simplicity of the composition of protein molecules and the simplicity of nucleic acids. Work is actively proceeding in several laboratories, including our own, in an attempt to provide more direct evidence for this hypothesis. The Central Dogma. This states that once “information” has passed into protein it cannot get out again. In more detail, the transfer of information from nucleic acid to nucleic acid, or from nucleic acid to protein may be possible, but transfer from protein to protein, or from protein to nucleic acid is impossible. Information means here the precise determination of sequence, either of bases in the nucleic acid or of amino acid residues in the protein. Crick, F.H.C. (1958) On protein synthesis. Symp. Soc. Exp. Biol. XII:138-163 quoted in Judson, H.F. The Eight Day of Creation, Expanded Edition (1979, 1996) p. 332. So, how do we explain the current state of the Central Dogma? 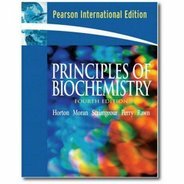 The Watson version is the one presented in almost every textbook, even though it is not the correct version according to Francis Crick. The Watson version has become the favorite whipping boy of any scientist who lays claim to a revolutionary discovery, even though a tiny bit of research would uncover the real meaning of the Central Dogma of Molecular Biology. The Watson version has been repeatedly refuted or shown to be incomplete, and yet it continues to be promoted as the true Central Dogma. This is very strange. I recommend that all biochemistry and molecular biology teachers adopt this definition—or something very similar—and teach it in their classrooms. Mattick, J.S. (2004) The hidden genetic program of complex organisms. Sci. Am. 291:60-67. Thieffry, D. (1998) Forty years under the central dogma. Trends Biochem. 23:312-316. In more detail, the transfer of information from nucleic acid to nucleic acid, or from nucleic acid to protein may be possible, but transfer from protein to protein, or from protein to nucleic acid is impossible. Information means here the precise determination of sequence, either of bases in the nucleic acid or of amino acid residues in the protein. The qualifier that information refers to sequence (rather than structure) protects against this, but prions appear to be nearly violate the central dogma as they transfer information between proteins. And what about post-transcriptional modification of RNAs by proteins? Or post-translational modifications of protein sequences? Prions don't violate the central dogma - since no sequence information is properly transferred between the proteins involved. Keep this handy. It will be a useful example of how much respect "dogma" gets in science when a Creationist asserts that evolution is dogmatic. Thanks, John. That link works. I was (again) very confused about the background to the presented basic information. This confusion centered around, of course, the two versions of the dogma, but also why some information transfers must be "permitted" instead of merely observed. Is this about explicitly excluding the possibilities of non-observed Lamarckism one wonders? But the mystery is revealed much further down when Crick makes the statement RPM refers to, and makes "information" precise, and the meaning of his formulation clear. Thanks Larry. This ambiguity causes no end of problems for students, some scientists who should know better and of course creationists who just love to muddy the waters. Some of the confusion also arises from a failure for us looking back now, to fully appreciate the historical context in which the central dogma was first presented. At the time, Crick was painfully aware that the direct evidence for his proposal was very low and he wanted to emphasise this point. “Why had he called it the central dogma? “Ah! That’s a very, very interesting thing! It was because, I think, of my curious religious upbringing.” He moved in his chair. “Because Jacques (Monod) has since told me that a dogma is something which a true believer cannot doubt!” Crick laughed. “And indeed, a friend said to me the same thing at dinner last night…. But that wasn’t what was in my mind. My mind was, that a dogma was an idea for which there was no reasonable evidence. You see?! And Crick gave a roar of delight. “I just didn’t know what dogma meant. And I could just as well have called it the ‘Central Hypothesis’, or – you know. Which is what I meant to say. Dogma was just a catch phrase”. If only Crick had checked in a dictionary……. Re Crick's definition of "information" - What is the reason for (usefulness of) restricting the definition to the determination of sequence? Proteins can promote or inhibit the production of other proteins; is there any evidence at all that proteins can cause a particular coding sequence to produce more than one protein (i.e., different amino acid sequences), e.g., by affecting which parts of the coding sequence act as introns vs. exons? jud: "is there any evidence at all that proteins can cause a particular coding sequence to produce more than one protein (i.e., different amino acid sequences), e.g., by affecting which parts of the coding sequence act as introns vs. exons?" This is alternative splicing, and it happens all the time. Spliceosomes do the splicing, but they are complexes of proteins and RNA. I know nothing about how alternative splicing is regulated. p.s. Forgot to mention that the discovery of alternative splicing prompted Barry Commoner to declare the Death of the Central Dogma in an article in Harper's about 5 years ago...he also opined (as I recall) that genetic engineering was a waste of time, in part because we could never understand the complexity of expression-regulatory networks. I've been pestering molecular biologists for years about this very point, and arguing that scientists who aren't taught the history of their discipline are only half educated. And, to the extent that intellectual role models are important, scientists couldn't do better than to emulate Crick. For example, he was very clear about how he was using the term 'information,' and tying it to a particular problematic -- what he called the problem of 'sequentialization.' This is a far cry from the vague appeals to 'biological information' one encounters at every turn today. It is precisely because of ambiguities in Biologists' use of the word "information" that I have done and published considerable research. My Doctoral research 1973-1977 at U.Mass./Amherst spun off several refereed Mathematical Biology papers on equations governing information flow in metabolic systems. A current draft paper is on a model of the Shannon channel capacity of evolution by natural selection. Traditionally, the problem was that Biologists didn't know Information Theory, and vice versa. But that was decades ago. The problem now is in fitting the explosion of genomic, proteomic, transcriptomic, metabolomic, lipidomic, and chronomic data to mathematical models, and trying to explain it all to students, colleagues, granting agencies, and the press. "This states that once ‘information’ has passed into protein it cannot get out again. In more detail, the transfer of information from nucleic acid to nucleic acid, or from nucleic acid to protein may be possible, but transfer from protein to protein, or from protein to nucleic acid is impossible. Information means here the precise determination of sequence, either of bases in the nucleic acid or of amino acid residues in the protein. (Crick 1958, 152-153, emphasis in original)"
Proteins can indeed modulate the "precise determination of sequence, either of bases in the nucleic acid or of amino acid residues in the protein. ", by altering the final sequence in an mature mRNA molecule derived from a specific locus and the specific amino acids that will then be incorporated in the protein, when compared to the other alternatively spliced form (in the specific cases where this happens). They can even (in some cases) regulate their own splicing (and mature mRNA sequence). and what about rna editing? In this case proteins indeed alter the sequence of a "nucleic acid". Alternative splicing and RNA editing are processes that occur before information passes from nucleic acid to protein. They do not contradict the correct definition of the Central Dogma of Molecular Biology. Yes, they occur before.. but they determine if the outcome will be A or B.
I believe that what Anonymous wanted to say is that a protein can regulate the final outcome of an mRNA. So what I guess he thought is that a protein could indeed modulate the "precise determination of sequence, either of bases in the nucleic acid or of amino acid residues in the protein. " as stated in the dogma. So, the info could indeed come from a protein, regulating another mRNA. They do occur before a protein is generated, but once it is generated, those proteins could determine information, by altering the final outcome of another mRNA molecule by regulating its splicing or editing. I hope Anonymous confirms this? If the protein hypothesis for prions is correct, would that modify Crick's CD? Since they transfer information by folding, not sequence? "Central dogma of genetics maybe not so central"
"In thousands of genes, RNA frequently fails to accurately transcribe DNA." "1000 Genomes pilot a hit with geneticists"
The first stage of a project to probe human genetic diversity has found millions of new variations. EARTH LIFE HAS ALWAYS BEEN AND STILL IS AN RNA WORLD"
C. It's not the protein that makes the enzyme. It's the RNA that has evolved the protein. AND IT'S THE RNAs THAT HAVE EVOLVED AND PRODUCE AND EMPLOY THE DNA templates to carry out life processes, for enhancing Earth's biosphere, for enhancing and constraining as long as possible some energy, some of the total energy of the universe, all of which destined to fuel the ongoing cosmic expansion. Science should adjust its vision, comprehension and conception. IT HAS ALWAYS BEEN AND IT STILL IS AN RNA EARTH LIFE. "Galaxies pin down dark energy"
- Dark energy and matter YOK. Per E=Total[m(1 + D)] all the energy and matter of the universe are accounted for. - Higgs Particle YOK. Mass begins to form at some value of the above D.
- Sleep is inherent for life via the RNAs, the primal Earth ORGANISMS formed and active only under direct sunlight in pre-metabolism genesis era. - Natural selection is ubiquitous for ALL Mass Formats. It derives from the expansion of the universe. b) the science of enduring changes in the pattern of gene activity, during embryo development and beyond, that do not involve alteration of the DNA sequence. The "heritable or enduring changes" are epiDNAtics, not epigenetics. Alternative splicing is not epigenetics, even if/when not involving alteration of the DNA sequence. Earth life is an RNA world. It's the RNAs that evolve proteins. AND IT'S THE RNAs THAT HAVE EVOLVED AND PRODUCE AND EMPLOY THE DNA templates to carry out life processes, for enhancing Earth's biosphere, for enhancing and constraining as long as possible some energy, some of the total energy of the universe, all of which is destined to fuel the ongoing cosmic expansion. Science should adjust its vision, comprehension and concepts. "Alternative splicing and RNA editing are processes that occur before information passes from nucleic acid to protein. " I keep hearing about splicing regulatory networks from grad student friends studying splicing, and I believe that the existence of specific splicing factor isoforms regulating specific splicing/editing events has been found. This demonstrates the flow of information from nucleic acid to protein, and back to nucleic acid. Thus I think this would contradict the "correct" statement of the central dogma. Just my two cents. Great post, thank you. I'd never even heard of Crick's version before - every source I'd encountered simply gave the DNA->RNA->Protein version as the "Central Dogma", usually accrediting it to Crick along the way. I thought it continued to be used as it is still broadly correct - yes there is RNA->DNA flow but it's a smaller part of the picture. I echo Bill's query above: Do prions altering the conformation of their 'normal' stablemates subvert the Central Dogma? Larry, thanks for this blog and the links you've included. I've learned a lot. What's the problem with prions. I don't see any transfer of sequential information, do you? "to a degree that is largely unappreciated by orthodox theoretical biologists, the ongoing revolution in biotechnology renders the central dogma obsolete. The fact is that information can and does flow upstream into the genome"
That's a bit different from it happening in nature. Also, how could the original nucleotide sequence possibly be recovered, given the redundancy in coding for amino acids? There would necessarily have to be a loss of information. Seriously? The Central Dogma is violated because we can work out and synthesise a nucleic acid sequence starting from a protein sequence? Genetic engineering is part of nature. Transfer of information from protein to protein can be lossless - not that the dogma bothers to specify lossless transfer. "It states that such information cannot be transferred from protein to either protein or nucleic acid." It *isn't* impossible. It *does* happen. Q.E.D. : the central dogma is toast. Oh man. I have been a molecular biologist for almost 2 decades and I believe that the central dogma is becoming too confusing to follow. Checkout my thoughts Is Central Dogma Dead? I'm sorry that you didn't understand some basic concepts in the field even after working on them for twenty years. You are not alone, there are many other people like you who are confused about noncoding DNA, evolution, and the fact that most of our genome is junk. The good news is that it's not too late to learn! In order to prevent this sort of thing from happening again, we need to make sure that the current crop of students is taught correctly.